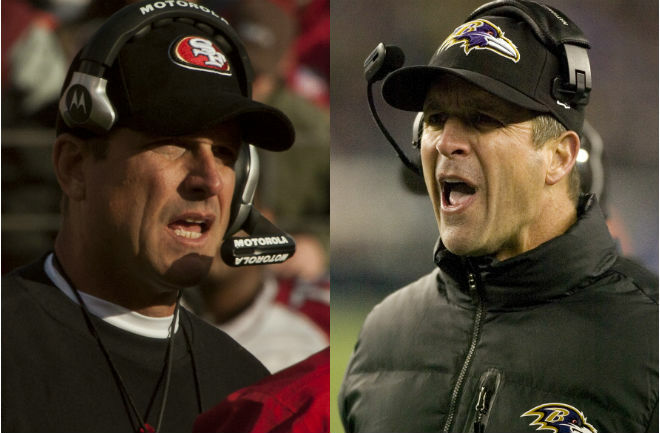 One of the intriguing factors in the matchup of today’s Super Bowl XLVII is that the coaches of each team are brothers. John Harbaugh coaches the Baltimore Ravens and his younger brother, Jim, is coach of the San Francisco 49ers. It’s the first time in Super Bowl history that siblings have coached against each other. The chances are slim that a coach will reach the Super Bowl during his career, and it’s even crazier that in this case we have two brothers achieving this career goal simultaneously. 1. Integrity – Success starts on the inside by being a leader of integrity. We’ve seen numerous examples of people who have cheated their way to temporary fame, but lasting success comes from living according to a set of honorable values. Integrity displays itself when you make ethical decisions, follow through on commitments, treat people with respect, and are honest and trustworthy in your dealings with people. 3. Communicate effectively – You can be an intellectually brilliant leader, but if you can’t communicate effectively with your team, your success will be limited. Great leaders share information about themselves and the organization on a frequent basis. They share information broadly and expect people to handle it responsibly, whereas insecure leaders hoard information in an effort to retain control. 4. Smart and disciplined – Super Bowl-caliber leaders are smart – they’re good at what they do. They constantly work to improve their craft and they take a disciplined, focus approach to applying their knowledge to their work (that’s wisdom – applied knowledge). You can’t reach the Super Bowl being content to rest on your laurels. You have to keep learning, adapting, and striving to be your best. 5. Rally people around a common goal – You’ve probably heard the saying that if you think you’re leading but no one is following, then you’re simply out for a walk. At its core, leading is about getting a group of people to move in a common direction to achieve a goal. It doesn’t really matter what the goal is – winning a football game, providing excellent customer service, or manufacturing cars on an assembly line – leaders have to channel the collective talents and energy of their team members into a common purpose. Those are my five keys to being a Super Bowl-caliber leader. I’m sure there are many more that could be added to the list. What are your thoughts? Feel free to leave a comment with you suggestions. I love that you started the list with “Integrity”. To me, if that rock isn’t in place, the rest don’t matter. Thanks for posting these important reminders. Thanks for your comments Scott. You are absolutely right! Integrity is the foundation of any successful leader. Thank you for your feedback Pamela! 2 things occurred to me about this story: Has anyone considered asking the coach(es) what leadership qualities they think it takes to be a Super Bowl winning leader? Did anyone notice that it was the career coach that won the game and not the former pro-player, turned coach. It makes one wonder why we, in many cases, consider that a great leader in one milieu can be great in another. That’s great feedback J. My article wasn’t really about those coaches specifically and whether or not they exhibt those traits, but you do bring up a good point. We often assume that because a person is successful in one domain (being a star athelete), that their experience will translate into another domain (coaching). We have several examples where that isn’t the case: Michael Jordan, Magic Johnson, Ted Williams, etc. (all star atheletes who weren’t very successful as coaches/owners). It shows that leadership is a domain in and of itself and requires a unique skill set. A person may have some transferable skills from their previous jobs/experiences, but they also have to learn leadership specific skills in order to be successful. I am now running my own small business and I try to only exemplify traits that will motivate and encourage my staff! I think your five keys really coincide with a book I just read by author Bill Sims Jr., “Green Beans & Ice Cream” (http://greenbeanleadership.com/). The books main objective is to teach positive reinforcement in any leadership role. His book examines different kinds of positive reinforcements that have been used, sometimes successfully and sometimes drastically at other times, and explains why proper positive reinforcements work to increase productivity, decrease costs, and enhance employee satisfaction. Each of his chapters contain a relevant story that is informative and interesting, and memorable. I can now also easily fit in your five keys into my new positive reinforcement practices. Perhaps you can fit positive reinforcement into your next SIX key model 🙂 THANK YOU! Thank you for your wonderful comments and I’m glad you found this article helpful. You’ve got me intriqued about Bill Sims’ book…I love the title! I’ll have to check it out. Adding positive reinforcement to the list is definitely a no-brainer!